Herod's Gate is located at the northeast corner of Jerusalem's Old City between Damascus Gate and Lion's Gate, adjoining the Muslim Quarter. It is also called the Flower Gate because of intricate stone designs above the gate, and the Sheep's Gate because of the animal market held outside of the gate. 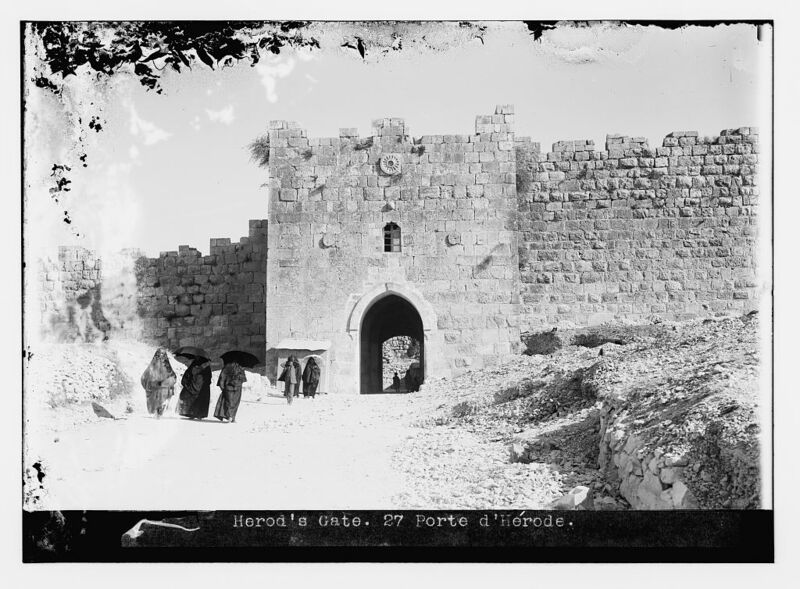 The name "Herod's Gate" was based on the belief that King Herod's palace was located near the site. 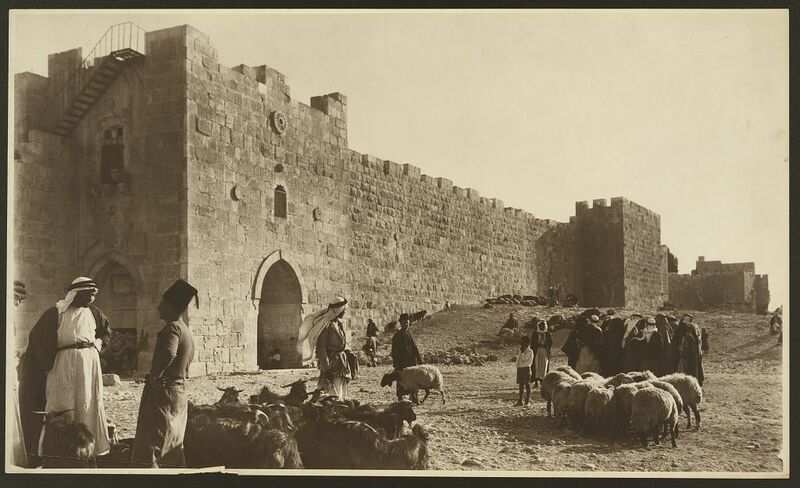 In fact, the gate was a modest entrance until the 1870s when the Turks built the more impressive gate to give access to neighborhoods north of the Old City. The Old City of Jerusalem is surrounded by four kilometers (2.5 miles) of walls built by the Ottoman Sultan, Suleiman the Magnificent, in 1540. Seven gates serve as points of entry into the Old City. The eighth gate, the Golden Gate located at the entrance to the Temple Mount, has been sealed for centuries. During the Arab Revolt (1936-1939) the Old City of Jerusalem was subject to British police curfews and even the sealing of the gates. The Israeli Defense Forces captured the Old City in June 1967 and opened the Herod's Gate for pedestrians. See previous photo essays on the Zion Gate, Damascus Gate, Golden Gate, Dung Gate, Jaffa Gate, the New Gate and Lions Gate. 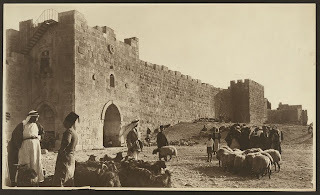 Just to expand on this - "During the Arab Revolt (1936-1939) the Old City of Jerusalem was subject to British police curfews and even the sealing of the gates" - the Arabs actually took over the Old City and held it for a few days during Ocotber 1938, forcing the British to mount a military operation to take it back as you noted here.